LRT 1, LRT 2 and MRT 3 Holy Week 2017 Schedule - Balita Boss! The Light Rail Transit 1 (LRT 1), Light Rail Transit 2 (LRT 2) and Metro Rail Transit 3 (MRT 3) have released their operation schedules for the Holy Week 2017. LRT-1, stations from Baclaran in Pasay City to Roosevelt in Quezon City, will be closed on April 13 to 16 in the observance of the Holy Week 2017 and to give way to maintenance works. 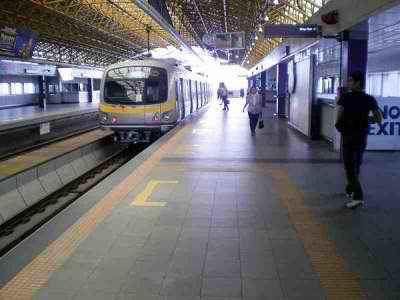 On April 12 (Holy Wednesday), LRT 2, terminals from Recto in Manila to Santolan in Pasig City, will start their operation from 5 a.m. until 10 p.m, while the Recto to Santolan route will operate from 5 a.m. to 10:30 p.m.
LRT 2 will not operate from Maundy Thursday, April 13, to Easter Sunday, April 16. Normal operations will resume on Monday, April 17, at 5 am. The MRT 3, meanwhile, will also stop operating from Maundy Thursday, April 13, to Easter Sunday, April 16, and will resume operations on Monday, April 17.